…is driven to finish every search with creative and thoughtful deliberation and implementation. To Fred, it is all about the thrill of the hunt, and contributing to his associates’ success and development. Fred leads the Finance and Investor Relations Practice at Berkhemer Clayton. After spending seven years in commercial banking, the balance of his career has been in retained executive search, first at Price Waterhouse where at 29 years of age he launched and grew a Los Angeles Executive Search and Human Resource Consulting practice into a western U.S. presence, which included consultants in Newport Beach, San Diego, San Francisco and Denver. He was then a partner in an international retained executive search firm that was acquired. 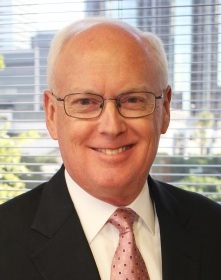 For the last 20 years, he has been Chief Executive Officer and co-founder of Berkhemer Clayton, Inc., serving client corporations in finance and accounting, investor relations, corporate communications, general administrative management and corporate directorship in all industries. In addition to managing searches for clients, as CEO, Fred manages operations in the firm’s downtown Los Angeles and Hong Kong offices. The Hong Kong office serves U.S. multinational corporations that require communications and marketing executives for operations in Asia Pacific. A University of Southern California graduate, Fred earned a Bachelor of Science degree in Business Administration from the Marshall School and completed an advanced professional development program at the University of Michigan graduate school of business. Fred currently serves on the Los Angeles board of directors of the National Investor Relations Institute (NIRI) and on the PricewaterhouseCoopers Los Angeles Alumni Advisory Council. He was previously on the board of INROADS/Southern California where he twice served as Chairman and is past President of The Paralysis Project of America.